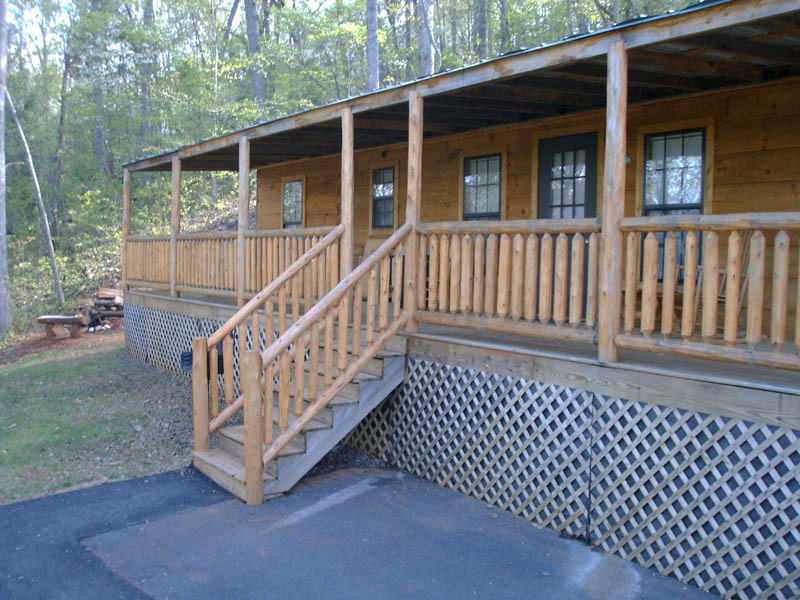 Real log siding and log railings give the cabins a rustic look. 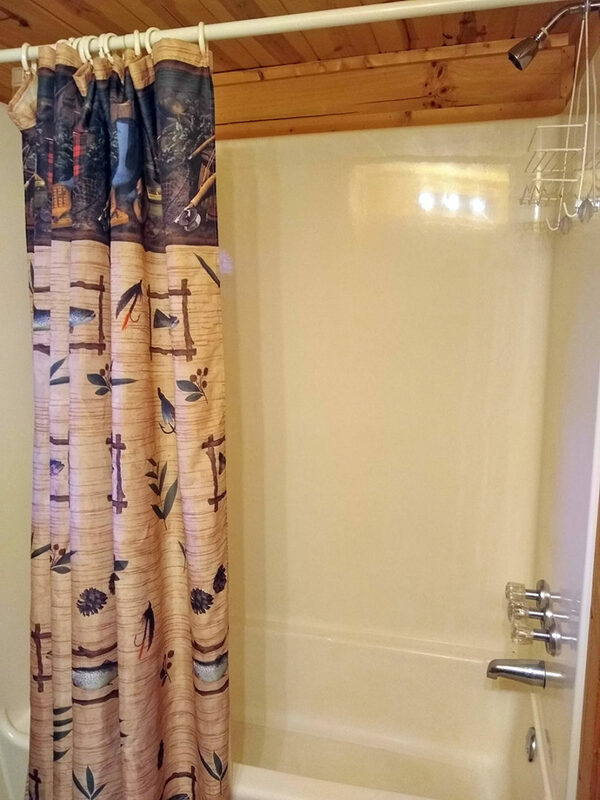 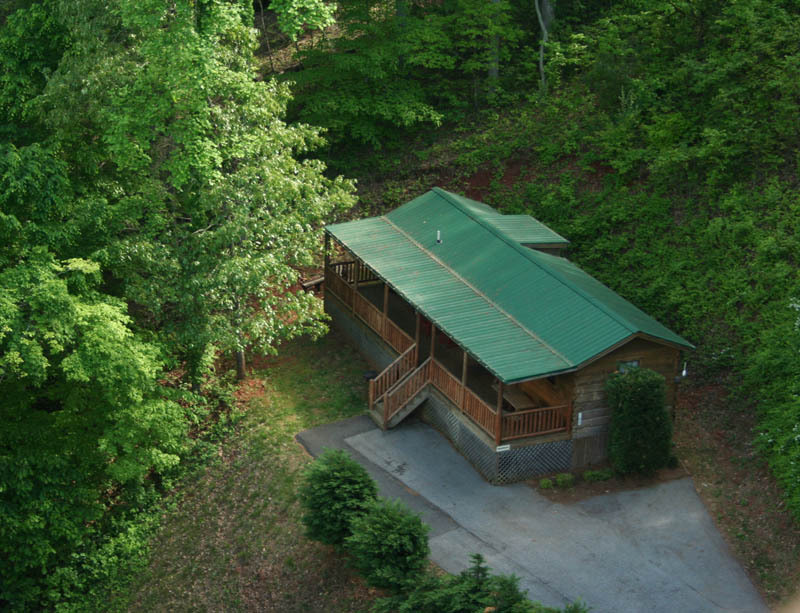 Take advantage of the easy access and close proximity to town. 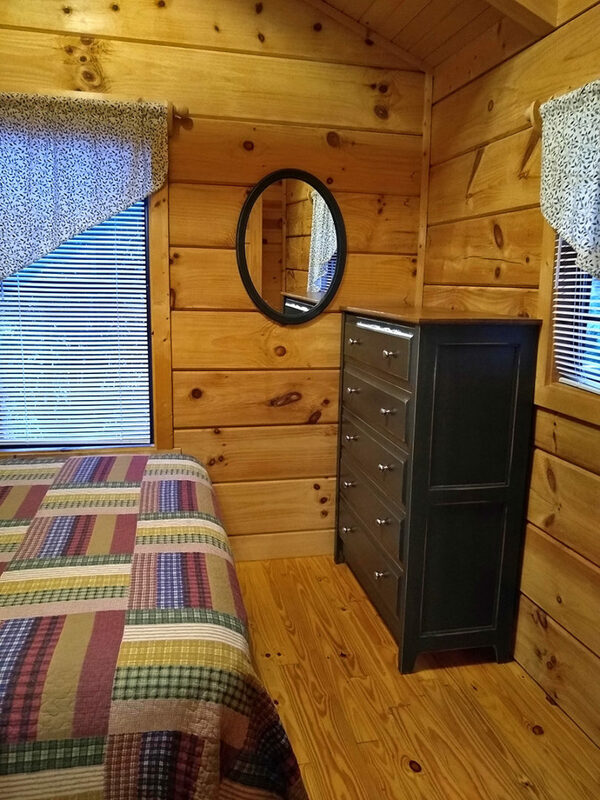 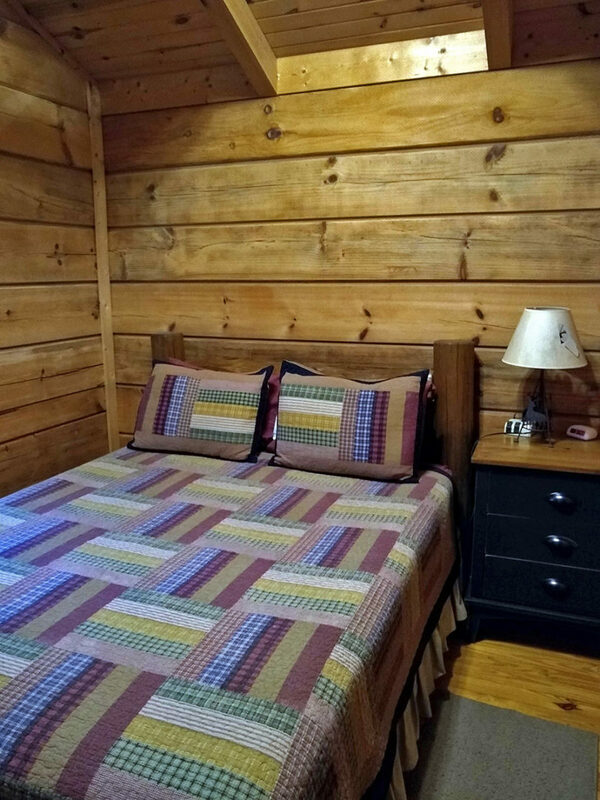 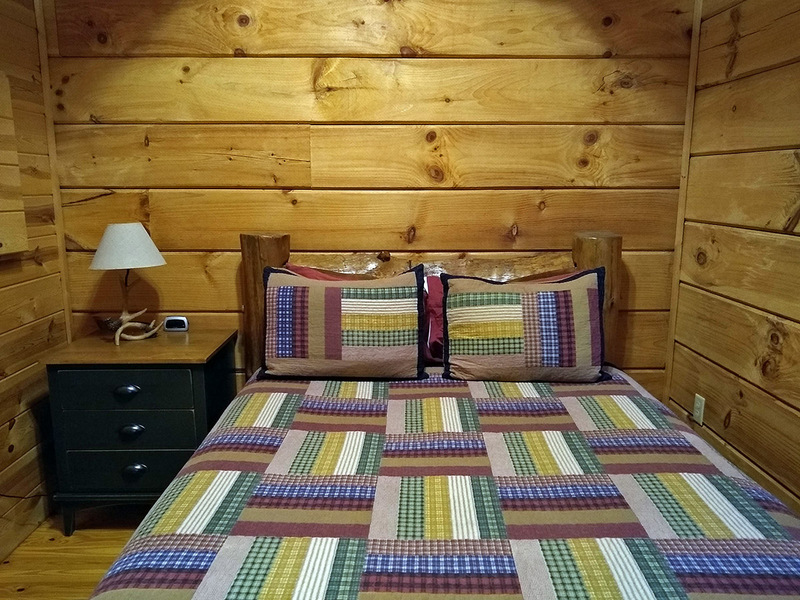 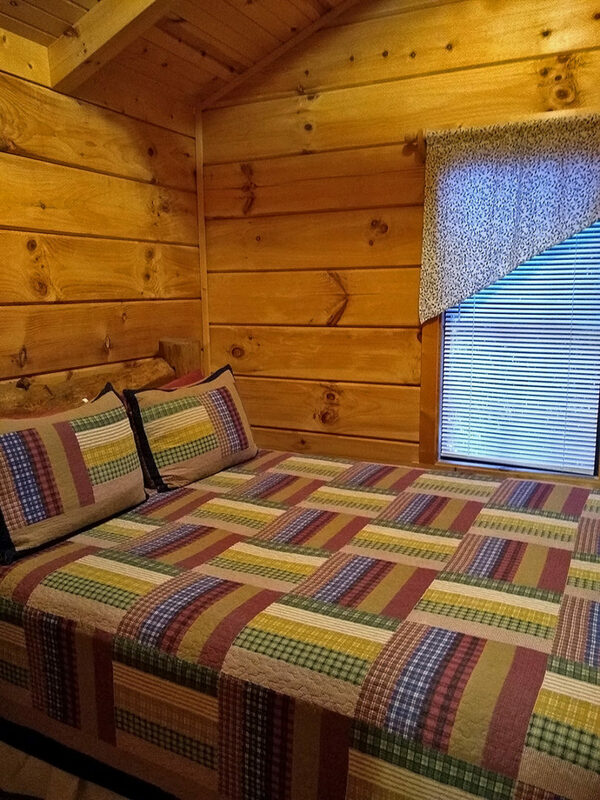 Sleeps 6 adults with 2 queen beds and 1 queen sleeper sofa. 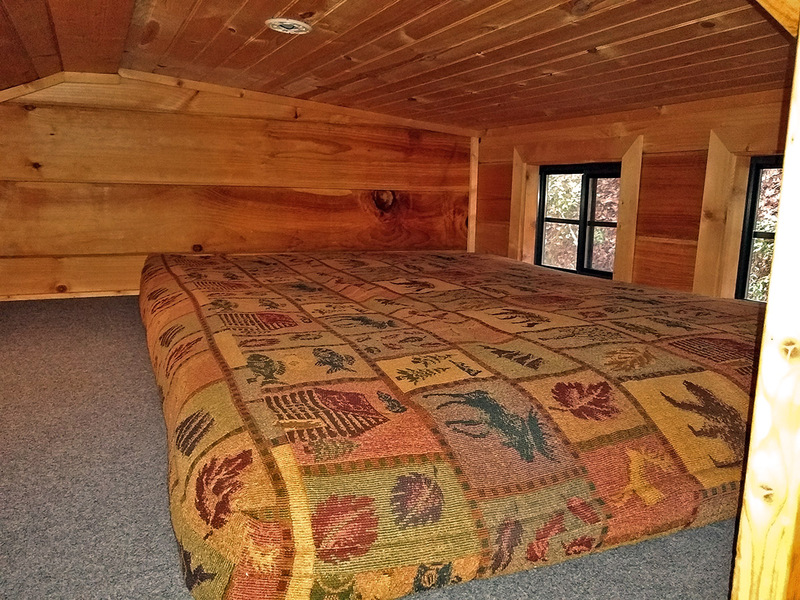 Loft with futon mattress perfect for kids. 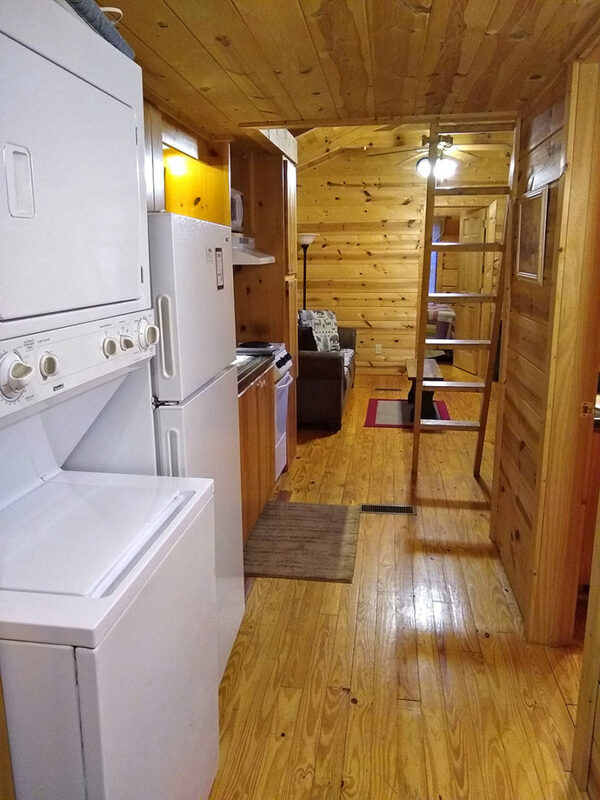 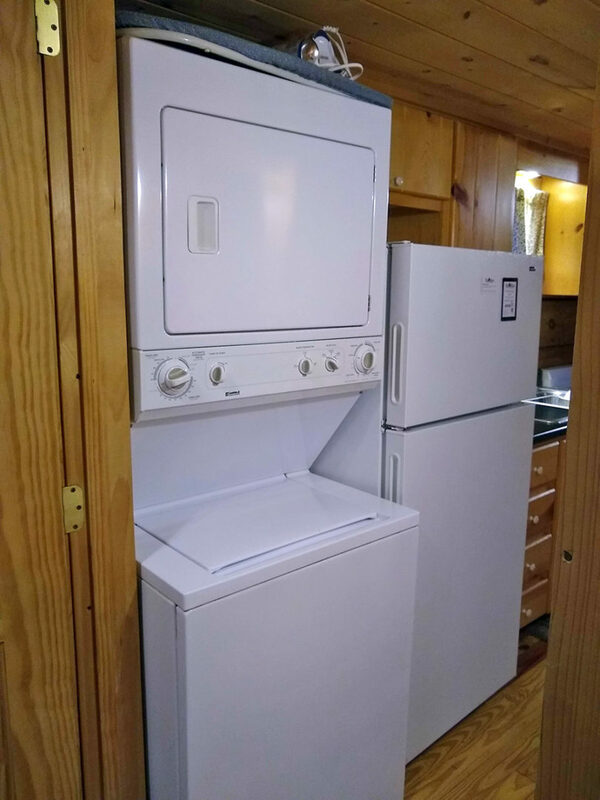 Full kitchen with breakfast nook in the dining area, washer/dryer, and satellite TV. 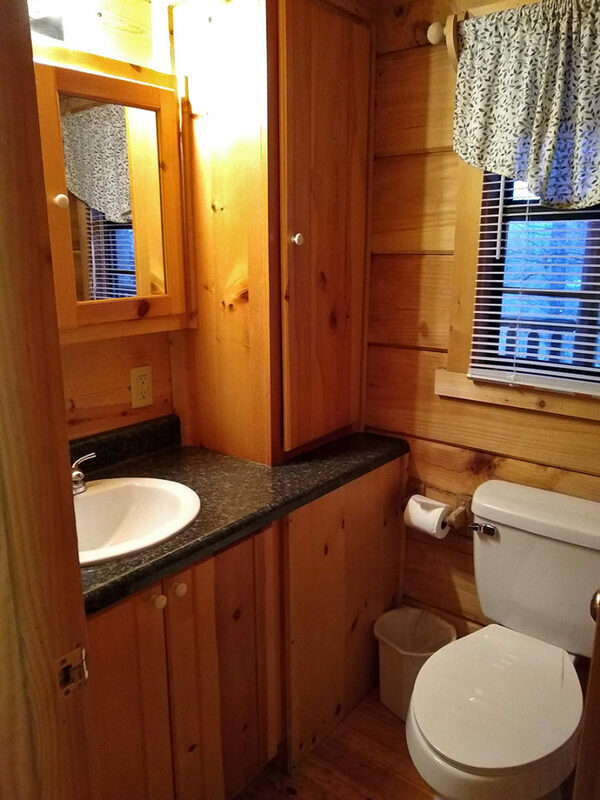 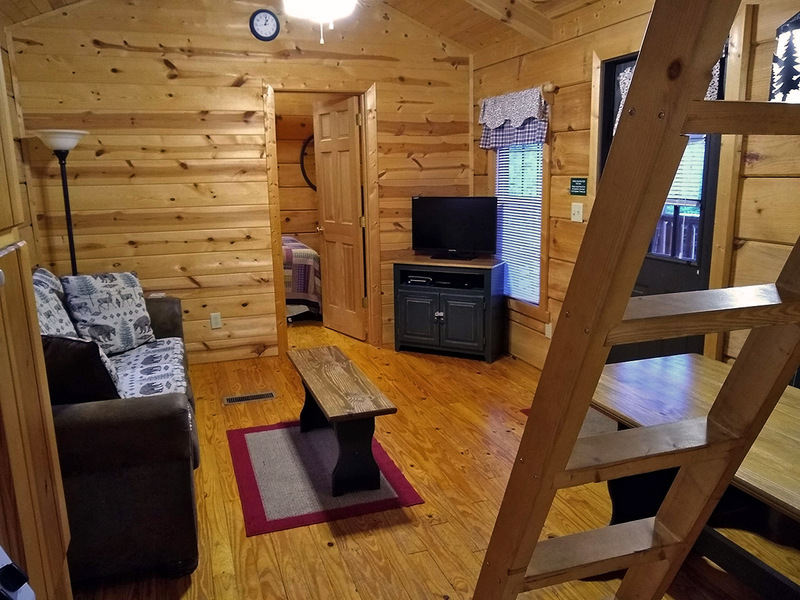 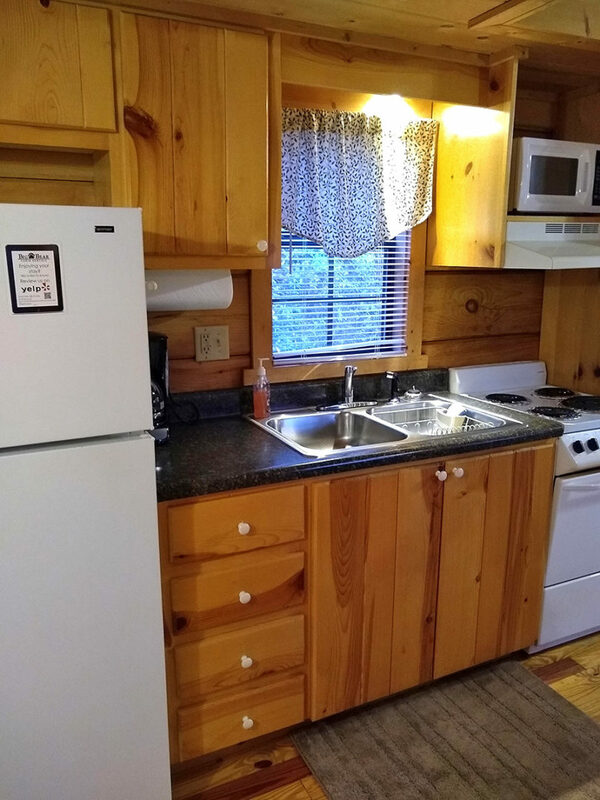 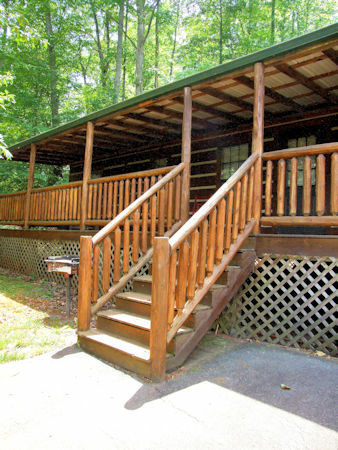 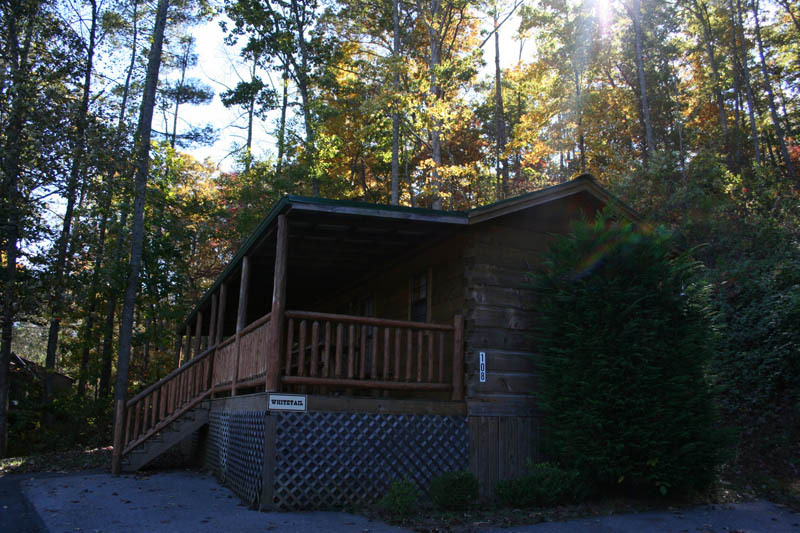 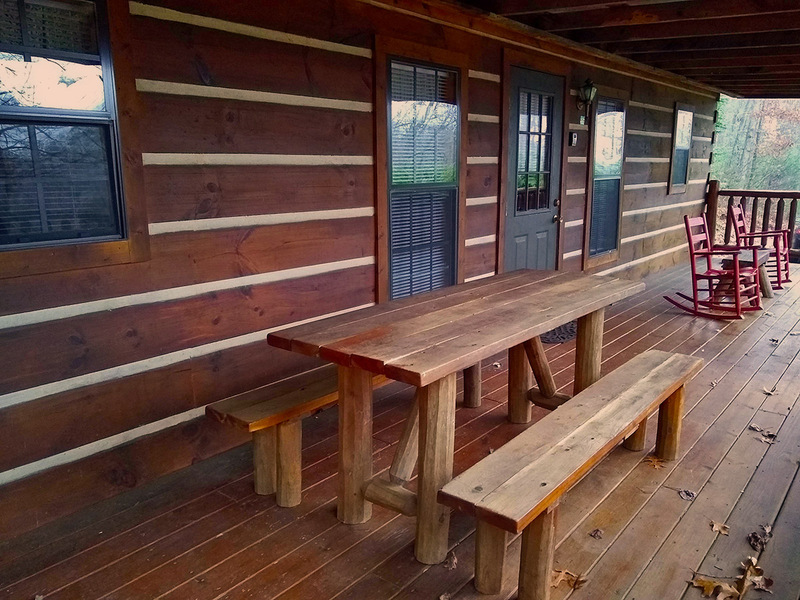 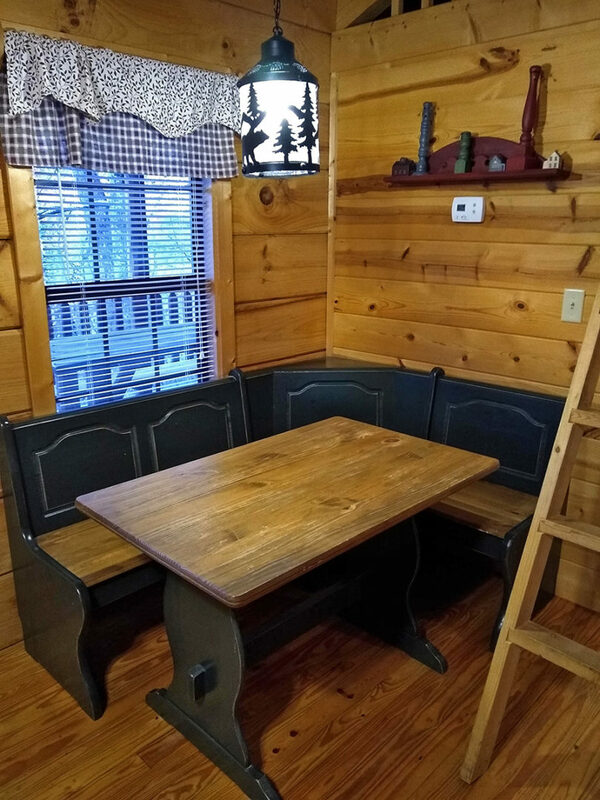 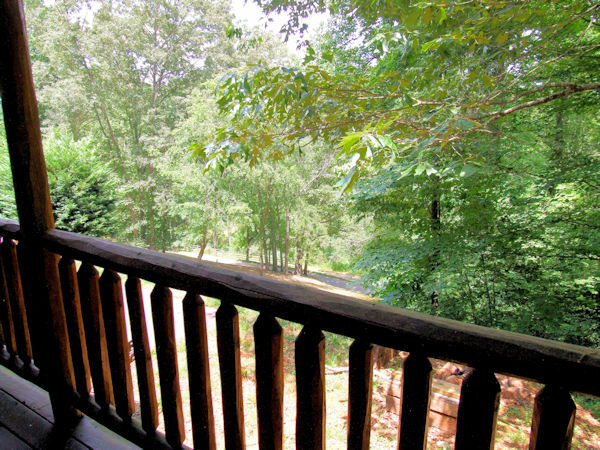 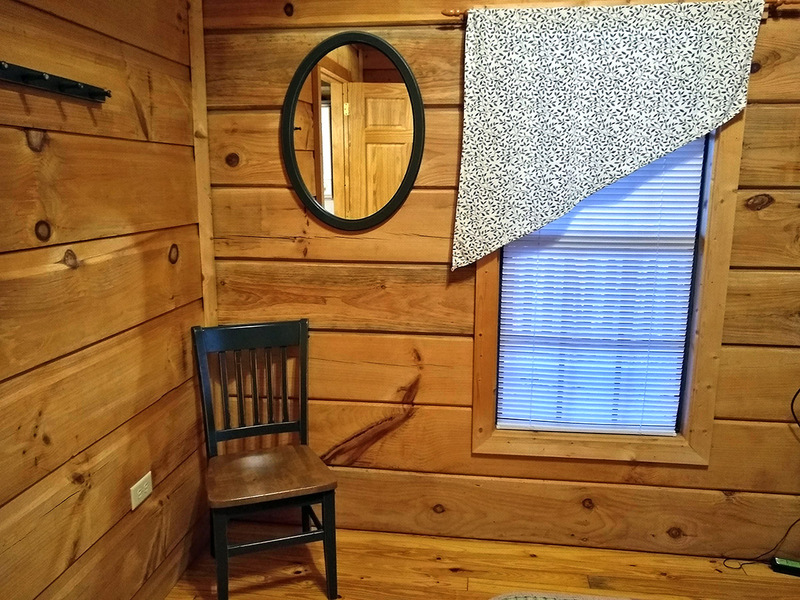 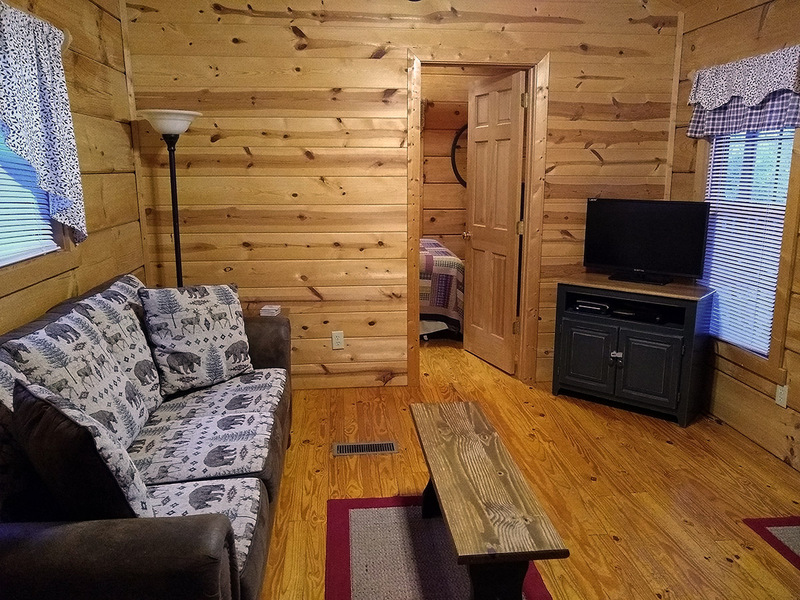 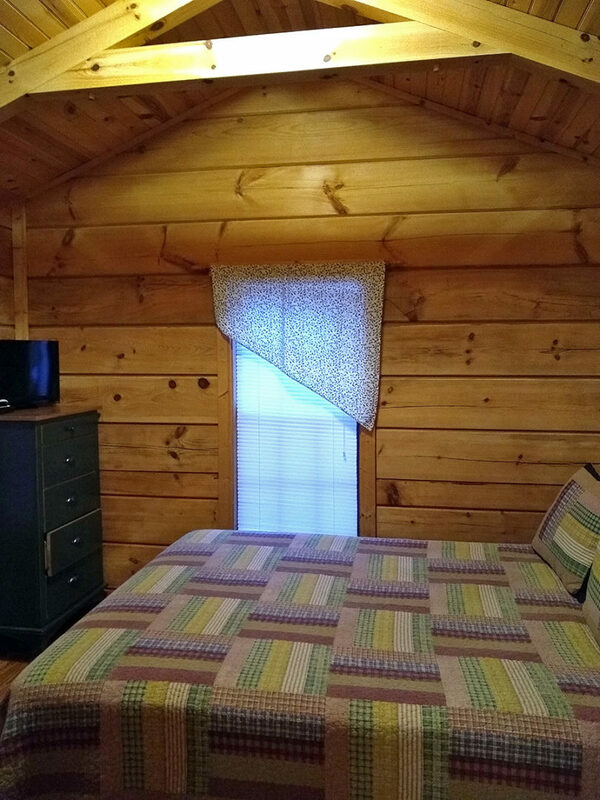 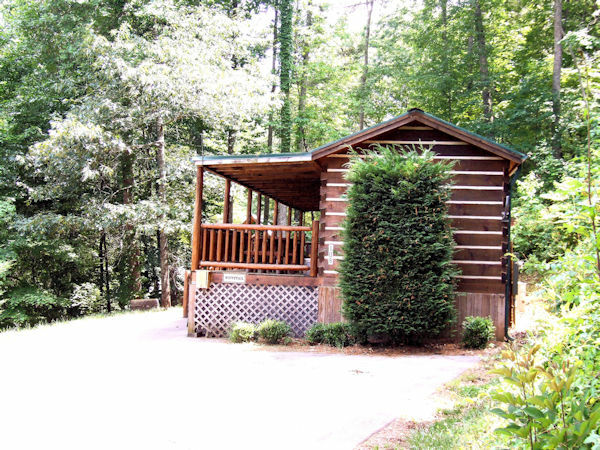 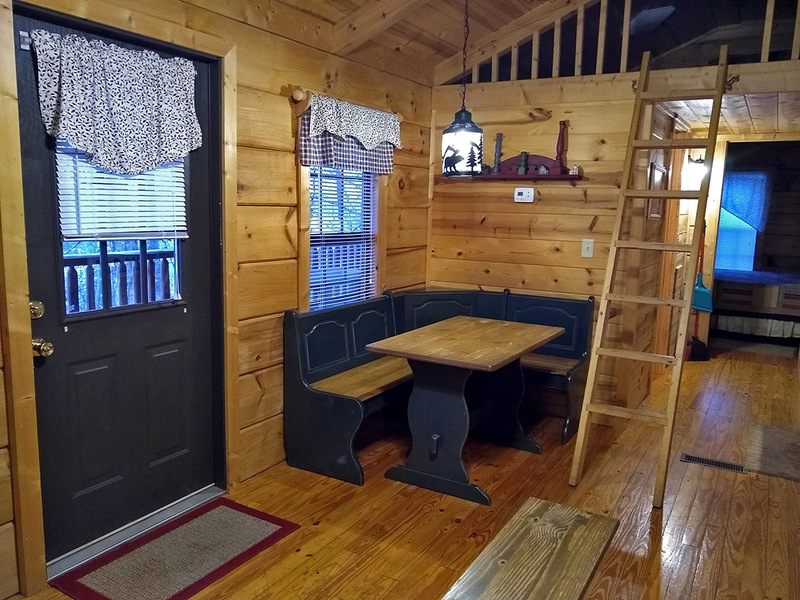 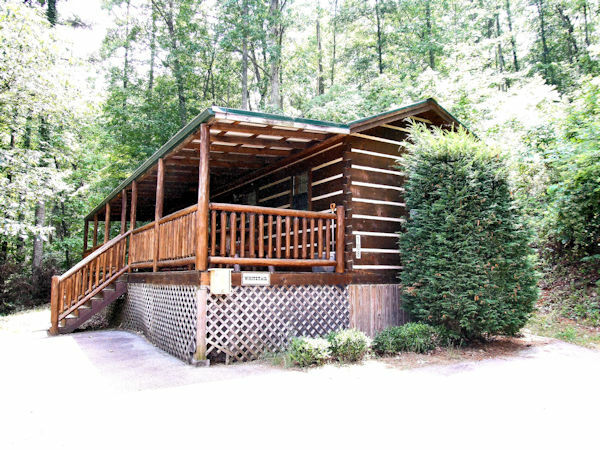 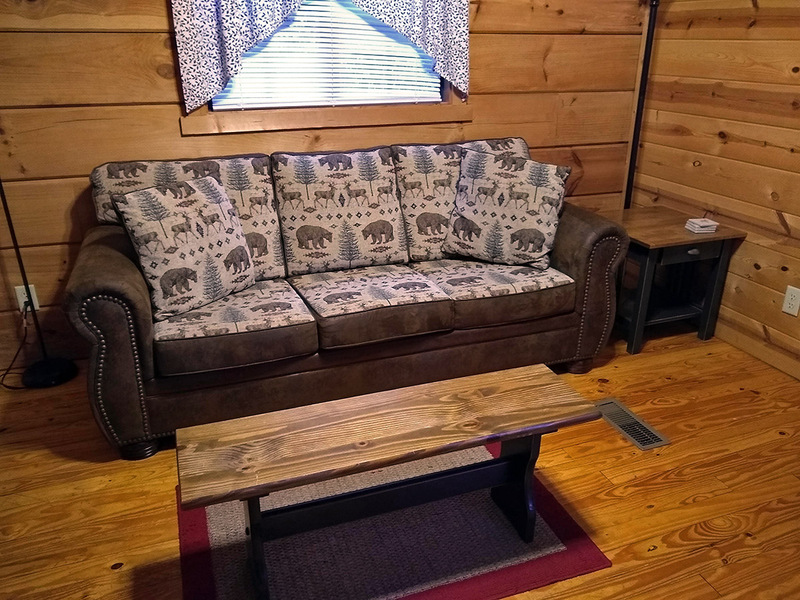 All cabins have benches and fire rings in addition to outdoor grills and rockers on the front porch.